In a striking contest, Israel Adesanya’s coach believes his fighter torches Anderson Silva. Adesanya is set to go one-on-one with Silva on Feb. 9. The bout will serve as UFC 234’s co-main event. Silva has been promised a title shot if he beats Adesanya. 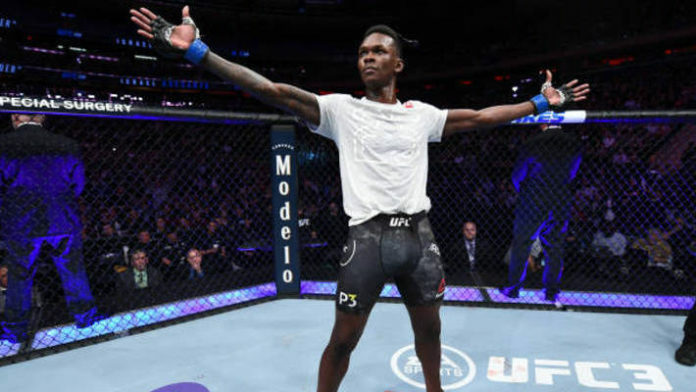 With how fast “The Last Stylebender’s” stock is rising, he may be the front runner to challenge for the middleweight gold if he beats “The Spider.” The action will take place inside the Rod Laver Arena in Melbourne, Australia. Headlining UFC 234 will be a middleweight title bout. Champion Robert Whittaker will defend his gold against Kelvin Gastelum. While the winner of that title bout could very well meet Adesanya or Silva next, Jacare Souza can’t be counted out either. Both Whittaker and Gastelum have wins over Souza. Do you think Anderson Silva can hang with Israel Adesanya’s stand-up?